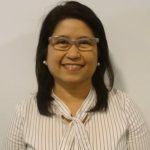 Dr Adan-Bautista has recently moved from a practice in Brisbane to join the GBMC/PWFD team. Dr Maria was a Paediatric Registrar in training for 3 years at The Canberra Hospital, Mater Children’s Hospital and Royal Children’s Hospital, Brisbane among other hospitals. She also attained her Diploma in Child Health in 2010. Dr Maria offers General Medicine with a special interest in Women and Children’s Health. Dr Maria works Monday to Thursday every week and every second Friday, Call 5439 7100 to book an appointment.